We are very excited to announce the RII Track-1, Lake Champlain Resilience to Extreme Events (BREE) award from the National Science Foundation. In this e-Newsletter you will find many articles that describe this new effort which aims to inform public policy and support economic and workforce development in Vermont. 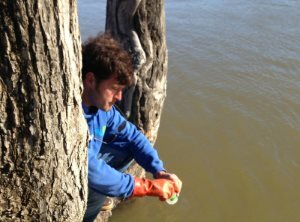 Dr. Andrew Schroth, VT EPSCoR Science Leader and Research Assistant Professor of Geology at the University of Vermont, has been awarded a three-year award from the National Science Foundation (NSF) to study phosphorus (P) loading from lake sediments in Lake Champlain. 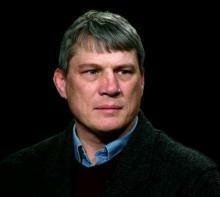 The collaborative award that will have implications for freshwater systems also includes Dr. Greg Druschel, Adjunct Associate Professor of Geology at the University of Vermont and Associate Professor, Earth Sciences, at Indiana University - Purdue University Indianapolis. Dr. Beverley Wemple, Associate Professor, Department of Geography at the University of Vermont was awarded a Fulbright U.S. Scholar grant for 2016-17. Dr. Wemple will be continuing a project that she started in 2013 (Mazar River Project) and studying geomorphology of mountain rivers on the eastern cordillera of the Andes in Ecuador to construct the first hydraulic geometry for rivers of this region. 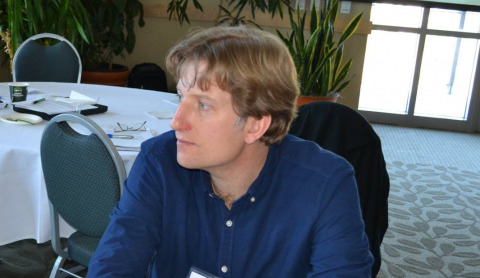 VT EPSCoR and the VT Technology Council are very pleased to announce that Dr. Arne Bomblies has been appointed Senior Associate Project Director for VT EPSCoR at the University of Vermont. 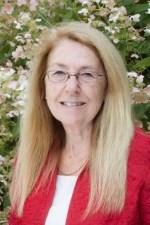 Dr. Bomblies has an outstanding career of research, teaching and leadership. He joined the University of Vermont in 2009 and is currently Associate Professor in the School of Engineering. His research foci are broadly centered on the impacts of climate change and variability. 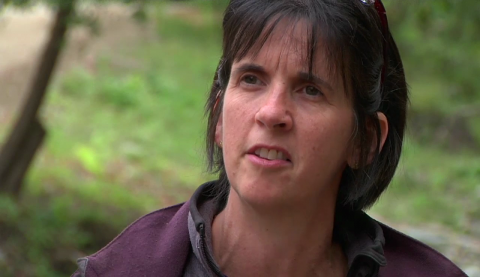 Within this context, there are two specific focus areas of Dr. Bomblies’ research: disease/climate connections and regional adaptation to climate change. RACC faculty and stakeholders authored twelve of nineteen articles featured in the Spring 2016 Vermont Journal of Environmental Law. Articles covered topics from “A Natural and Human History of Lake Champlain” to “The Lake Champlain Basin as a Complex Adaptive System: Insights from the Research on Adaptation to Climate Change “RACC” Project” and “Controlling Polluted Stormwater Runoff from Roads”. 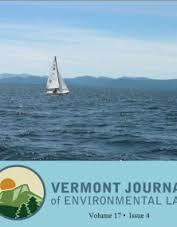 The Vermont Journal of Environmental Law (VJEL) at Vermont Law School announced the publication of a timely new set of information and perspectives on the Lake Champlain restoration plan recently approved by the United States Environmental Protection Agency (EPA) under the federal Clean Water Act. Vermont EPSCoR held a Mentoring & Teaching of Diversity workshop at the UVM Davis center on Saturday April 30th, 2016. The goals of the workshop were to enrich knowledge about diversity and cultural identities and their impacts. Strategies and approaches for developing a more just & inclusive environment were also reviewed. The CWDD was excited to showcase the innovative discoveries of over 54 posters and 8 oral presentations from student researchers through the Research on Adaptation to Climate Change (RACC) program at the 8th annual Student Research Symposium on Tuesday March 29th, 2016. Over 170 people attended. This symposium brings everyone together who has worked for the past year on countless aspects of research. 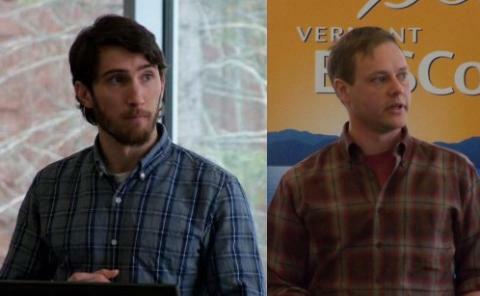 Congratulations to Dr. Peter Isles and Dr. Justin Guilbert for their successful dissertation defenses! Peter and Justin did outstanding jobs in both their oral and written components. VT EPSCoR is very happy to welcome Mike Winslow as the Coordinator of the VT EPSCoR Center for Workforce Development & Diversity at Saint Michael's College(CWDD). Mike has an outstanding career in environmental advocacy, research and teaching. For the past 15 years, he worked as a staff scientist for the Lake Champlain Committee and authored Lake Champlain: A Natural History.